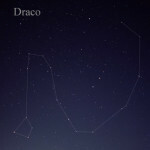 Draco is a large constellation of rather dim stars that is also one of the 48 constellations cataloged by 2nd century astronomer Ptolemy. Since it is a circumpolar constellation at 40 degrees north latitude, it is visible on any night at any time, but it reaches its highest nightfall ascension in January. Draco’s tail starts near the northernmost pointer star of the Big Dipper, and it roughly parallels the curvature of the Big Dipper handle before curving under the Little Dipper and turning back toward the south, and then terminating at the dragon’s head. The best chance of seeing this constellation will be under a very dark sky. Thuban (Alpha Draconis), is the most interesting star in Draco. Six thousand years ago, when the Egyptian pyramids were build, Thuban was the Earth’s pole, or north star, and the Egyptians built north-facing entrances on the pyramids that were aligned to this star. Due to precession, the large circle that the Earth’s axis traces among the fixed stars every 26,000 years, Polaris has temporarily supplanted Thuban as the pole star. The most notable deep sky object in this constellation is the Cat’s Eye Nebula (NGC 4563). 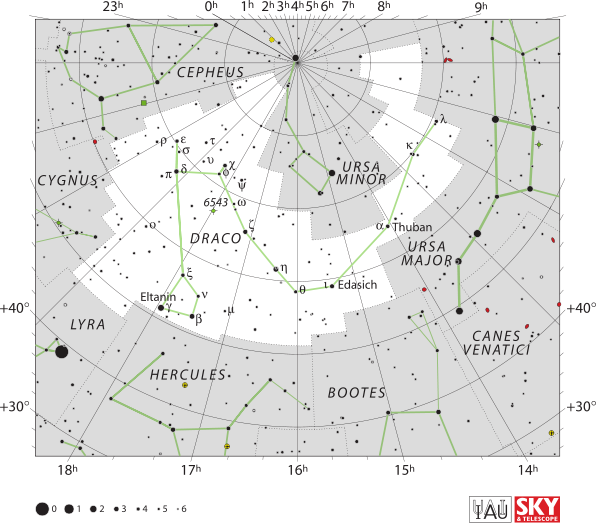 IAU Draco chart, IAU and Sky & Telescope magazine (Roger Sinnott and Rick Fienberg), June 5, 2011. Polaris’ special significance is that it is the Pole Star, located very near the point at which the Earth’s northern axis intersects the celestial sphere. 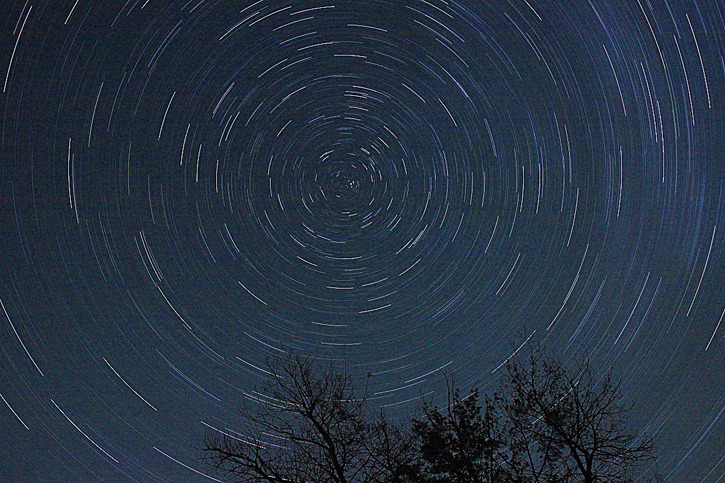 As a result of this unique location in the sky, Polaris will appear to remain stationary all night while all of the other stars will appear to rotate around it. 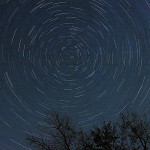 You may have seen star trail images that illustrate this effect. Another implication of Polaris’ unique location is that it is a measure of one’s latitude. From Ashton, MD for example, Polaris appears 39.15° above the point on the horizon in the direction of due north, which corresponds to Ashton’s latitude on a map or globe. 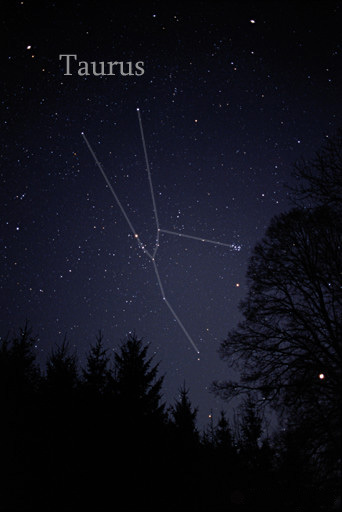 Polaris marks the end of the bear’s tail in Ursa Minor, or the end of the handle of the Little Dipper. The best place to start when looking for Polaris is the Big Dipper which is part of the constellation known as Ursa Major. The two stars at the end of the bowl farthest from the handle are pointer stars. Follow an imaginary line from the pointer star at the bottom of the bowl, through the one at the top of the bowl. 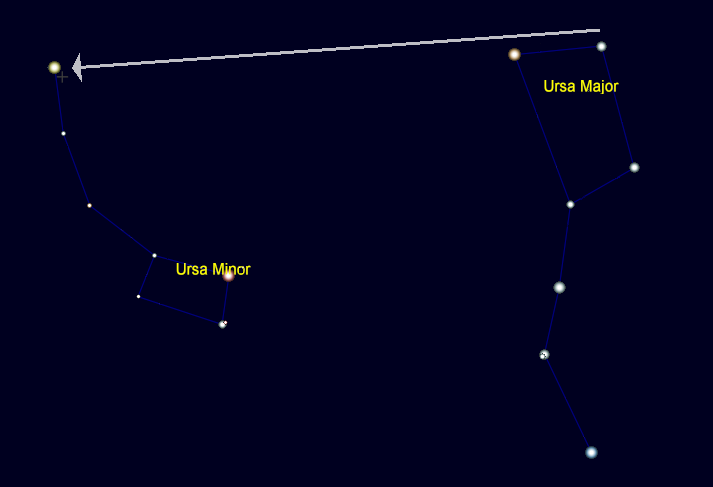 The 2nd magnitude star that is about five times the distance between the two pointer stars is Polaris. The Big Dipper Pointer Stars, Jim Johnson, December 27, 2014. Polaris has not always been the Earth’s Pole Star, nor will it always be the pole star. As a result of the procession of the equinox, the axis about which the Earth rotates will trace out a large circle every 26,000 years, as illustrated below. This sounds like a long time, but when the Egyptian pyramids were built 5,000 years ago, Thuban in Draco was the pole star, and thus some north facing entrances of the pyramids were aligned on this star. In 8,000 years from now, Deneb in Cygnus will be the pole star, and the Earth’s axis will be aligned with a point near Vega in about 12,000 years from now. 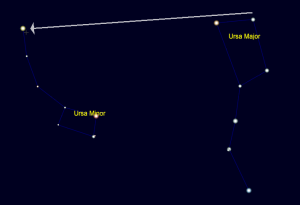 Similar to Ursa Major, which contains the Big Dipper asterism, Ursa Minor contains another recognizable asterism that is often called the Little Dipper. Some of the dimmer dipper stars can be difficult to locate in city skies, and the other stars forming the bear might be impossible to see. 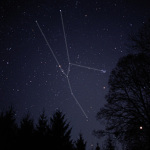 Polaris, the constellation’s brightest star, is found at the end of the bear’s tail, or at the end of the dipper handle. This star is thought by some to be significant because it is the brightest star in the sky, which is incorrect – Sirius in Canis Major is actually the brightest star in all of the night sky. An observer can verify that Polaris is not the brightest star in the sky by locating it, and comparing it with other stars in the rest of the sky. Polaris can be located by using the Big Dipper’s pointer stars, the two stars at the end of the dipper bowl away from the handle, and drawing an imaginary line upwards from the top of the bowl. 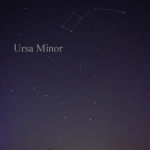 Ursa Minor is the 56th-largest constellation, and one of the 48 constellations cataloged by the 2nd century astronomer Ptolemy that remain among the 88 modern constellations. There are no Messier objects in this constellation. 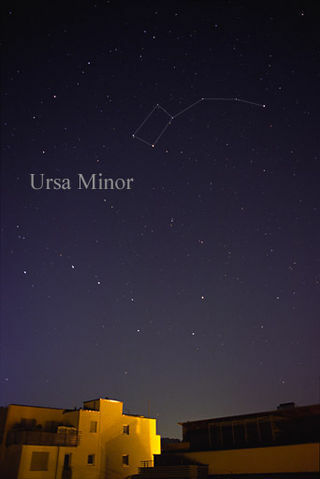 IAU Ursa Minor Chart, IAU and Sky & Telescope magazine (Roger Sinnott and Rick Fienberg), June 5, 2011. 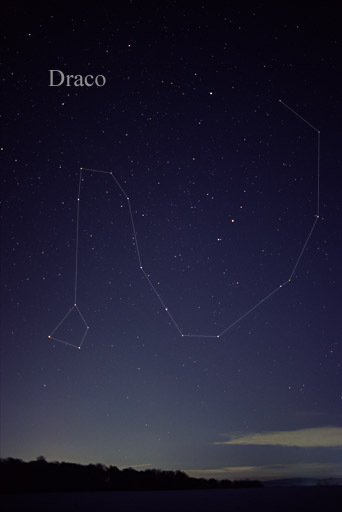 Taurus, one of the zodiacal constellations, is most easily identified by it’s distinct and bright V-shaped asterism that represents the face of the bull. Taurus was one of the 48 constellations cataloged by the 2nd century astronomer Ptolemy that remains among the 88 modern constellations. 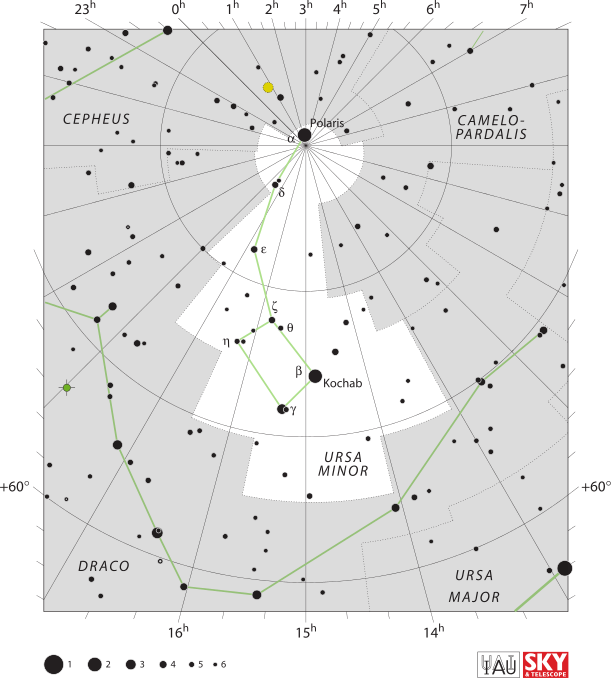 This constellation reaches its highest nightfall ascension in February, and is found by tracing Orion’s belt stars to the right to Aldebaran (Alpha Tauri), the bright reddish star nearby. The outlying stars in this constellation can be difficult to locate in light polluted skies. With the exception of the brightest star, Aldebaran, the V-shaped asterism previously mentioned are stars withing the Hyades open star cluster, which is the closest open star cluster to us here on Earth. Many more stars in this cluster can be detected with binoculars or a small telescope. Also in Taurus is the brightest an most distinct open star cluster that we can see from Earth, The Pleiades (M45, or The Seven Sisters), which is located northwest of the V-shaped astersm toward and near Perseus. This open star cluster, sometimes mistakenly thought to be the Little Dipper, becomes even more beautiful with even the slightest magnification. The only other Messier object is M1, the Crab Nebula, which was created by a supernova explosion that was bright enough to be seen in the daytime sky in July of 1054. 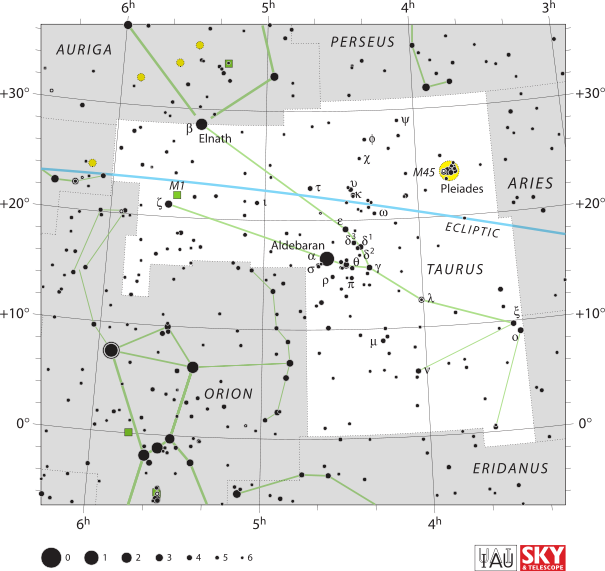 IAU Taurus chart, IAU and Sky & Telescope magazine (Roger Sinnott and Rick Fienberg), June 5, 2011.